So I was trapped in the Library for a bit, and spied this book. 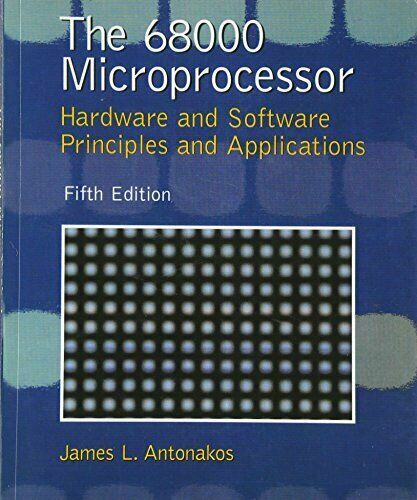 It’s not every often in 2019 you are going to find books about the 68000, as I’m sure any good library will have removed stuff like this, and have it pulped ages ago. But the amount of current technical books in English here is pretty damned slim to none, so I was all to happy to pickup this book for a week. The poor thing has been checked out 4 times in the last 15 years. I guess the kids don’t know what they are missing. Anyways what was interesting in this book is that it has a CD-ROM, and on there is some lesson code from the book, along with an assembler that outputs to S-records of all things, and a small emulator that is meant to be compiled under MS-DOS. It was trivial to isolate the passing of DOS interrupts from Unix/MinGW and get the simulator running on something modern. In Chapter 11 there is a brief walkthrough on building a board, which sounds like fun although I’m sure in 2019 finding parts will be.. challenging, along with a simple monitor program. The built in assembler can happily assemble the monitor, but it’s geared for talking to the obsolete hardware as specified in the book. I just made a few small changes to instead have it’s console IO hook to the simulator’s TRAPs and I had the monitor running! 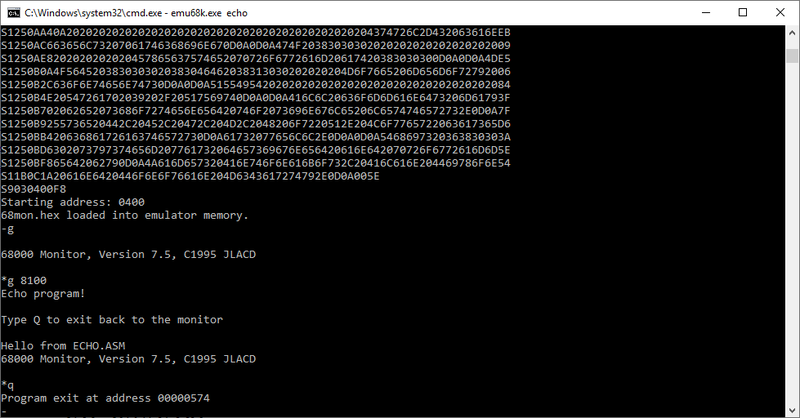 I then took the echo test program, and modified it to run at a higher location in memory, along with exiting via the RTS instruction, so that it will exit when you press Q back to the monitor. Then for the heck of it I further extended the monitor so you can Quit it, and return to the simulator. Is this useful? I’m pretty sure the answer is absolutely not. The CD-ROM is tiny, I thought it would be packed with goodies, but it’s 250kb compressed. If anything people using this book will probably have lost the CD-ROM and want the programs. And my horrible changes here.